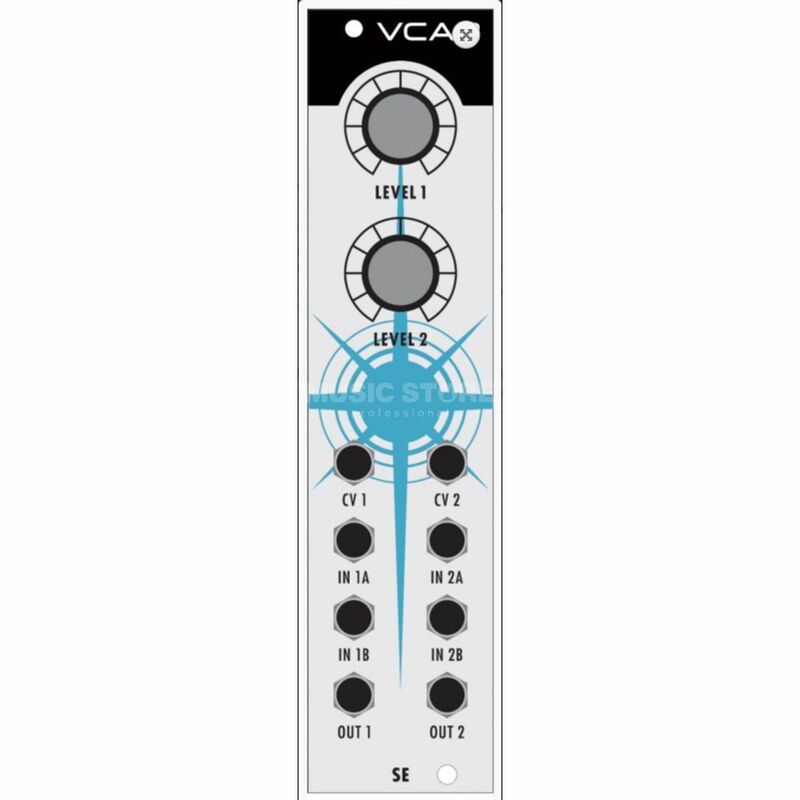 Two quality VCAs for audio or CV with level control—advantageous for creating a CV modulation chain: Patch the 1st (controlling) modulator into the CV input, and the 2nd and 3rd (the controlled) modulators into inputs A and B; the output can then be patched to a modulation destination such as an oscillator or filter frequency. The same approach is effective for enveloping an LFO, or dynamically modulating an LFO or envelope with key velocity, modwheel, key tracking, etc. One can even escape the highly colored Mini-flavord character of our AMP with this quad op-amp alternative for cleaner, sharper tonality in the near final stages of synthesis. Originally set at unity gain (along with the MIX4), now units with a January 16 (2016) and greater marking will exceed unity and clip the op-amp, past 3:00 on the dial. Upshot: Fully clockwise the gain is doubled. Distortion of audio and modulation signals never hurt anyone, and add another tool to the box. Note: In the audio realm clipping may occur sooner dependent up signal input level. CV 1, IN 1A, IN 1B, OUT 1; CV 2, IN 2A, IN 2B, OUT 2. CV – Controlling CV modulation input. IN A – Controlled Input 1A. IN B – Controlled Input 1B.